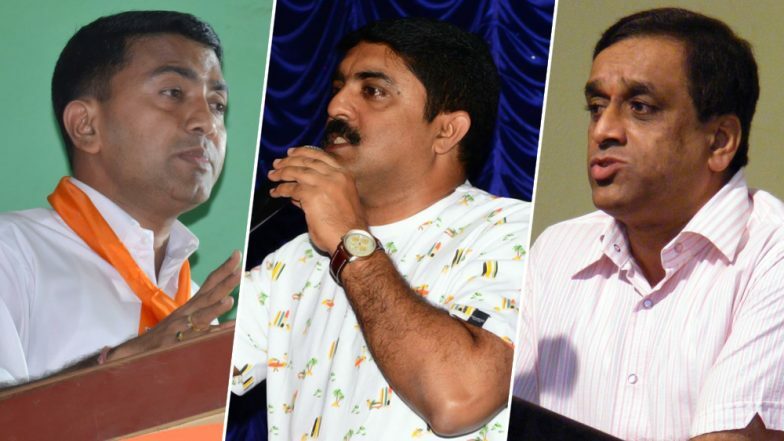 Panaji, March 18: Goa legislative assembly speaker and close aide of late Goa Chief Minister Manohar Parrikar, Pramod Sawant, has been chosen as the next CM. The BJP leader will be taking oath to office later tonight, reports said. The formal swearing-in is scheduled hours after the cremation of Parrikar, who died on Sunday following a year-long battle against pancreatic cancer. Sawant's name has been agreed to by the two major coalition partners of the BJP in the state - Goa Forward Party (GFP) and Maharashtrawadi Gomantak party (GMT). The respective legislature group leaders of the two parties, Vijai Sardesai and Sudin Dhavalikar, will be sworn-in as Deputy CMs. In the 40-member Goa assembly, whose effective strength has been scaled down to 36 due to deaths of some legislators, the BJP has 12 MLAs, whereas, the GFP and MGP have 3 each. Apart from the two regional parties, three independent legislators are also supporting the coalition government. The Congress, which is the single-largest party with 14 MLAs, will continue to serve the role of Opposition in the state assembly.